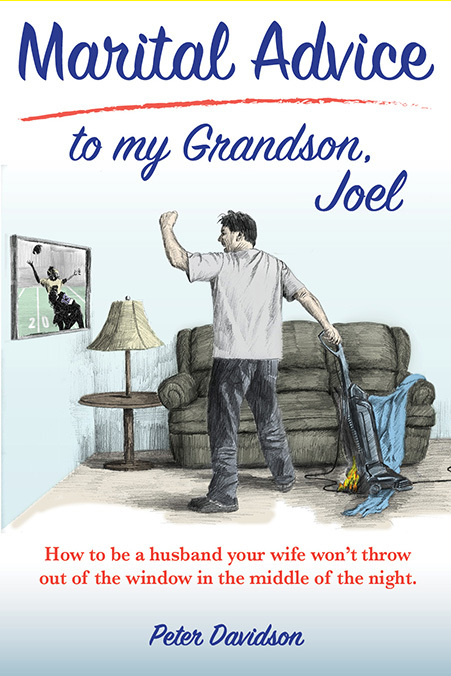 In the last two weeks' posts, I presented investment advice that I gave to my grandson in the book, Marital Advice to my Grandson, Joel. This included noting some of the potential pitfalls of investing in the stock market, bonds, and commodities. Two weeks ago I posed a quiz: What is the Dow Jones Industrial Average and how many stocks are in The Dow? If you didn't know the answer, did you check it out? Well, the Dow Jones Industrial Average (DJI) is one of most most widely-quoted indicators of the performance of the stock market. It includes thirty stocks of well-known companies such as Exxon Mobile, General Electric, Coca Cola, Apple, and Nike. Last week, The Dow had its biggest drop in around two years, dropping more than 1,000 points. Yikes! This is proof of my statement that picking individual stocks and knowing when to buy and when to sell is extremely difficult. An Investment Plan that Will Make you Rich, Rich, Rich! 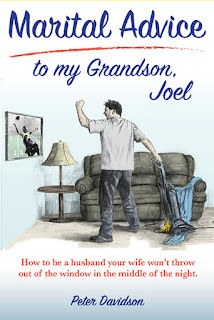 I shared with my grandson an investment plan that will him rich beyond his wildest dreams, and I will share that plan with you as well. A Mutual Fund is a company that pools hundreds of millions or billions of dollars from thousands of individual investors. The Mutual Fund uses that money to buy shares of common stock, or other investments, in maybe 50-100 or more different companies. There are hundreds of different Mutual Funds, each designed to invest in certain types of companies to meet certain investment goals. For instance, a Mutual Fund might invest in the automotive industry, pharmaceuticals, retailers, oil companies, or computer manufacturers. Many mutual funds diversify by investing in a wide range of different companies, which is probably the best type of mutual fund to invest in for a beginning investor. One popular Mutual Fund to consider is a S&P 500 Index Fund. When you invest in a Mutual Fund, you receive shares of the Mutual Fund, which, in essence means your money is spread across the 50-100 or more companies the Mutual Fund invests in. Gone is the problem of trying to pick one or two companies to invest your money in. Dollar Cost Averaging: One of the main problems of investing in the stock market is buying at the right time. Dollar Cost Averaging is an investment strategy that eliminates this problem. Simply stated, you would invest the same amount of money in a Mutual Fund every month on a regular basis. Sometimes you would buy at a low price, sometimes at a high price, and sometimes in between. Overall your average purchase price would be a comfortable average somewhere in the middle. As stated above, this past week, the stock market had its biggest drop in around two years. If you owned stocks of individual companies, you would be horrified. However, if you were using Dollar Cost Averaging to buy Mutual Fund shares, you would be delighted, since you would be buying at a very favorable price. With many Mutual Funds, you can start with an initial investment as low as $100-$500 and you can put in as little as $50 or $100 per month. My Advice: I have just described to you how to become rich. Start now, investing in a Mutual Fund using Dollar Cost Averaging. Invest a comfortable amount each month by having it automatically transferred from your bank account to the Mutual Fund. Increase your monthly investment over time and invest in several different mutual funds as times goes on. You will not get rich overnight, but if you start now and stick to your Mutual Fund investment program month after month, year after year, you will become Rich, Rich, Rich beyond what you ever thought possible. It works. If you've got the money, go for it! If you don't have the money, don't fool yourself.